Samuel Gompers ran the American Federation of Labor. In 1886 a man named Samuel Gompers met with the leaders of craft unions in New York City and formed a new type of labor union called the American Federation of Labor. It did not take long before it had chapters in every major city in the United States and Canada. Eventually the organization spread all over the world. The AFL, as it came to be called, was different from previous labor unions. The AFL brought together many different types of small craft unions into one union that fought together across different trades. The major difference in the AFL and other labor unions was that the AFL only allowed skilled workers, or workers who practiced a specific trade, to be members. 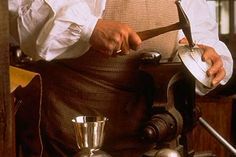 Some of these crafts or trades included iron molders, miners, tailors, bakers, metal workers, carpenters, and cigar-makers. Gompers knew this would be much more effective because skilled workers had a special skill that other people could not do. This made skilled workers more valuable to employers because skilled workers were harder to replace. Samuel Gompers believed in American capitalism. This means he believed that businesses should be controlled by business owners and not by the government. He just felt that business owners should be required to treat their employees with fairness and respect. He did not believe in using violent or radical tactics to gain better working conditions for AFL members. He used strikes, boycotts, collective bargaining, and walkouts. Under his leadership, the AFL did not sponsor or form alliances with any political parties. He did, however, show politicians that the AFL was a powerful group. AFL members made it known that they were voters and would vote for the candidate who helped workers regardless of the candidate's political party. His peaceful tactics helped him to become well respected by workers and business owners alike. This benefited AFL members because he was able to gain the support of the U.S. government and the American people. By 1900, the AFL had gained over 500,000 members. Gompers gave workers a voice in the workplace and made them a force to be reckoned with. The AFL had several major goals. They wanted higher wages, shorter hours, and safer working conditions for workers. They wanted immigration to be restricted as well. In other words, they wanted there to be a limited number of immigrants allowed to come to America each year. Immigrants made it harder for American born workers to get a job because immigrants were willing to work for less pay. Immigrants who really needed the work would not complain about the poor working conditions either. Because so many immigrants were willing to work for low pay, it drove down the amount that business owners were willing to pay American born workers as well. The AFL fought hard to accomplish their goals but it was not an easy fight. Gompers was well respected and he was successful at influencing politicians to help workers, however, big business owners still had more influence over the government. There were over 20,000 strikes in America between 1880 and 1910 and workers lost about half of these fights. In the half that they won, workers only gained some of their demands. There were very few cases where a strike was completely successful and all of the workers' demands were met. The AFL had several major successes. They helped establish collective bargaining as a way to peacefully work out disagreements between owners and employees. They used membership dues to create programs that allowed workers in the AFL sick days from work and unemployment benefits. They gained many craft unions an eight hour work day. Most importantly, they got workers voting. Votes encouraged many politicians to help workers so that they could stay in their political offices. Overall, it was the AFL who gained the majority of workplace reforms that we are able to enjoy today.